sonstige Eigenschaften A horizontal tricolor of yellow, blue and red with the National Coat of Arms on the upper hoist-side of the yellow band and an arc of eight white five-pointed stars centered on the blue band. Urheber Various, see File history below for details. Siehe auch: en:Flag of Venezuela und en:Coat of arms of Venezuela. 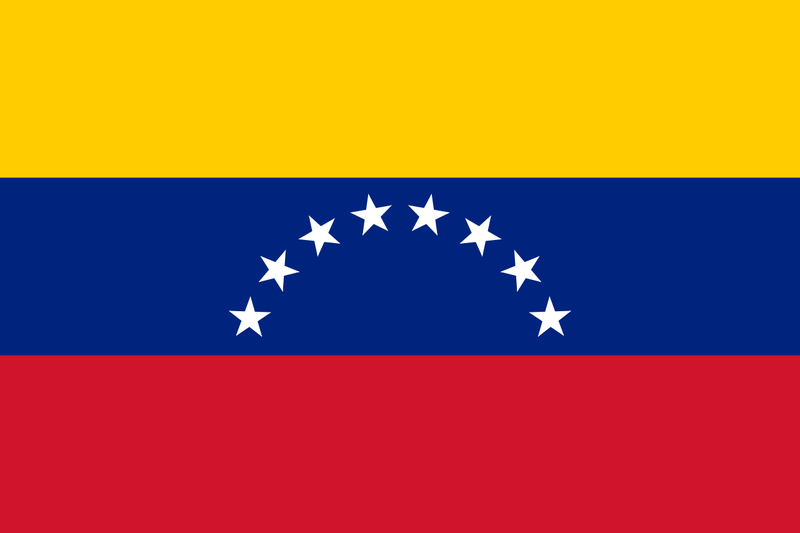 Siehe auch die Kategorie: SVG flags - historical of Venezuela. 01:15, 25. Mär. 2017 800 × 533 (57 KB) Jp16103 Added coat of arms per Venezuelan flag code and law.